I don’t buy eyeshadow palettes very often because I have a fairly large collection of single shadows, but this palette had some shades that I didn’t already own. Kick your look into high gear with our limited-edition Machinist Shadow Palette. Available in three steampunk-inspired color combos, the Grind, Steam and Ignite collections all include 12 highly pigmented tones that breathe new life into this retro-futuristic fantasy. Mix and match each amaze assortment of cool and warm metals with bold mattes to create an amped up effect. From grungy romantic to vintage beauty, all you need is a spark of inspiration to make the mood your own. Now onto the swatches, and my thoughts on each (faves will be marked with *). The shades do not have names, only numbers – so I’ll do them in order. Shade 1 – matte. I had to swatch this light cream shade heavily to make it visible on my pale skin. This one is great as a base shadow, or a browbone highlight. Shade 2* – metallic. I love this taupe shade, been wearing it a lot! It looks even nicer on the eye than it does in the swatch. Shade 3* – metallic. I have similar copper toned shades in my collection, but I really like this one as well. Copper tones work really well with my blue eyes. Shade 4* – matte. This was one of the shades that drew me into this palette as I don’t own a similar shade. Love love love this one! Shade 5 – metallic. This shade is a letdown, it is such a pretty bronze shade in the palette, but applies horribly (even with primer). Shade 6 – matte. I have similar shades in my collection, but it applies nicely. Shade 7* – matte. This is one of the shades that drew me to the palette. I love this one in the crease. Shade 8* – metallic. This was another one of the shades that drew me to the palette as I don’t already own a dupe for it. Shade 9* – matte. I love this shade a lot. I don’t already have a similar shade in my collection. I love this one as a crease shade! Shade 10* – matte. Another great shade, I like this one for my outer corner or as a liner. I need to play with this shade more. Shade 11 – metallic. This metallic shade takes a little extra time to make it work. It swatches more brown in tone that it looks in the pan. Shade 12 – metallic. This is similar to many shades in my collection, I know I’ll use it. Overall: The matte shades are all great, but the metallic shades are hit and miss. Some are good (shades 2, 3 and 8), some are just ok (shades 11 and 12), and one is terrible (shade 5). Since I started writing this review a few days ago, I have discovered that the metallic shades are a lot more workable if you use a wet brush application. This is not something that I would do for an every day look, but would take the extra time if I was doing a full on glam look. What do you think of this palette? Have you tried the other two (Grind and Steam) from the Machinist Collection? Nyx is cruelty free, but their parent company is not. This month’s ipsy Glam Bag arrived a little later than usual this month, but better late than never! Especially since I think that this month’s bag was a good one! The bag itself is a cute little denim number with bright orange trim. Not overly Valentine themed as I was expecting, but it is still cute. So what did I get? This post is just an unboxing and first impressions full reviews to come later. Right now this satin finish is our goldilocks texture. Glossy is too much. Matte isn’t doing the trick. But this is just right! These are so insanely creamy that there’s no need to use lip balm beforehand. Ripe Berry is a totally appropos name; the hue (which has cool, purple undertones) reminds us of crushed raspberries. This is a great creamy lipstick, in a nice sheer berry shade. I love the Nyx Butter Lipsticks, so I was happy to get this one. 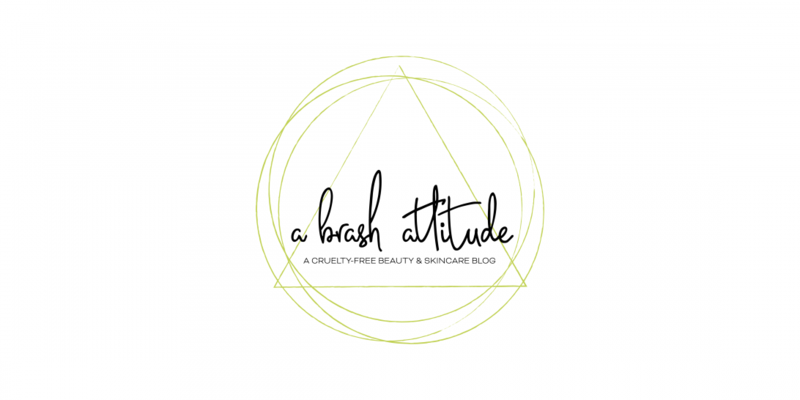 A cruelty free brand, yay! Don’t be fooled by the name, there’s nothing milky about this metallic copper. It’s so richly pigmented that even a tiny bit makes your eyes pop. You can use it three ways: Brush it on for a bold metallic shadow, swipe on with your fingertips for a messier smoky look, or use a liner brush and create a gleaming cat eye. This is a beautiful coppery shadow. I love copper tones, and it is a cruelty free brand, so I’m super happy with this one as well. The packaging though is terrible – flimsy plastic – I’m going to depot this once I buy a z-palette (or something similar). Go from a dull complexion to one that’s insanely glowy in five minutes, flat. It both exfoliates (with lactic acid) and hydrates (with avocado butter), the ultimate dream team for scoring radiant skin. I am unsure if this brand is cruelty free or not. I was initially excited about this facial mask, but it is really strongly scented – to my nose it is very jasmine – one of my most hated scents, so I will be passing this onto someone who doesn’t mind scented products. You could be watching The Notebook while taking a swim on the most humid of summer days, and this smudge-free formula wouldn’t run. The flexible brush perfectly separates and coats every single lash, so your fringe looks completely full and defined. Even though it’s waterproof, a makeup removing wipe will take it right off, no tugging or rubbing (or lash damage) required. Finally a waterproof mascara! I’m super excited to try this one out! Another cruelty free brand! Soft and fluffy bristles combined with the small domed shape make this great for dusting on highlighter. Is it just us, or does rose gold make everything look dreamy? I have a few Luxie brushes, they’re really great, and they’re cruelty free and vegan. I love getting brushes from Ipsy. All in all, I think this month’s bag was a good one! What did you get in your ipsy glam bag? Curl Charisma Rice Amino + Avocado Leave-In Defining Crème hydrates, defines, and weather-proofs curls while maintaining touchable movement and light, flexible hold. Mollis leaf and tomato fruit ferments smooth and seal the hair cuticle to lock out frizz-causing environmental moisture to promote consistent curl formation. Ultra-hydrating avocado oil helps hair retain moisture and increases elasticity to protect against damage. For added hold, cocktail with Curl Charisma Frizz Control Gel to create the perfect blend of hydration and hold custom-suited for your hair type. This was on my wishlist so I jumped at the chance to get it with my points! Can’t wait to test it out. Another cruelty brand! Disclosure: Monthly subscription that I pay for! Available in 24 different shades – ranging from pale to deep espresso with warm, neutral and cool undertones. I chose to test out porcelain (neutral undertones), the third lightest shade in the range. The foundation is super liquidy, and you can choose the level of coverage – in the instructions it says to use 2 or more drops for light, 3 or more for medium, and four or more drops for full coverage. I’ve tried applying with my Wayne Goss foundation brush, with my Real Techniques blending sponge, and with my fingers. I prefer applying with fingers and then blending with my brush, due to how watery the foundation is and being better able to control the application that way. The finish really does feel velvety and smooth, but not super flat matte when applied on the sheerer side – hopefully that makes sense. I find that a really flat matte finish makes me look completely dead. Heavier application will cake up on dry areas, so I wouldn’t recommend this foundation if you have super dry skin and want full coverage. I have mostly normal and slightly dry skin right now.